LANDFIRE (LF) Remap for the Northwest GeoArea are now available! The much-anticipated new LANDFIRE base map, LF Remap, is now available for use! The first of 10 releases, this release offers Topographic products and mosaics for CONUS, as well as Disturbance, Vegetation, and Fuel for the Northwest GeoArea. Historical Disturbance - layer uses the latest 10 years of disturbance data representing disturbance year and original disturbance type and severity, allowing multiple years of disturbance to be captured for each pixel. This allows a historical representation of disturbance on the landscape and helps classify fuel data assignments. National Vegetation Classification - Allows opportunities to evaluate the vegetation classification and mapped products. Fuel Vegetation Cover, Height, and Type - More accurately leverages fuel transition assignments related to disturbed areas by re-establishing pre-disturbance vegetation type, and binned cover and height products. Read more about LF Remap. These data are useful to determine pixel change and users need to understand the strengths and limitations of the data, as this determines the relevance for a given analysis or application. The National Gap Analysis Program (GAP) and LANDFIRE (LF) have signed a Memorandum of Understanding to produce an integrated data set. LF coordinates with programs that use LF data products and incremental delivery fits better in their work flow. New processes implemented to improve product quality are taking more time than expected. Please see LF 2010 Delivery Schedule for the revised LF 2010 delivery schedule. Vegetation and Fuel Disturbance data are available on the LF Data Distribution Site. These data are attributed to define disturbance type, severity, and approximate year of disturbance. Data are derived through analysis of Landsat satellite imagery, local agency derived disturbance polygons, and other ancillary data. Vegetation and fuel disturbance are composites of the disturbance grids with the latest disturbance taking precedence. These data are useful in change detection analysis and users need to understand the strengths and limitations of the data, as this determines the applicability for a given analysis or application. CONUS: LANDFIRE (LF) zone boundaries were updated along international boundaries (CA, MX) and along the coasts. 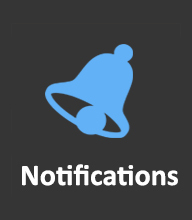 These updates were implemented with LF 1.0.2 (Improvements) and subsequent versions. Prior versions, such as LF 1.0.0 (National), do not reflect the updated boundaries. ALASKA: Alaskan zone boundaries fall short in many areas along the coast and omit islands in some cases. All LF versions are affected. LF is aware of this issue and will address it in future versions. Be aware of these zone boundary issues while making decisions about your data. Install ArcGIS 10 service pack 2 to resolve display issues. By 2011, there will be five versions of LF data products. Users need to be able to understand the strengths and limitations of each data product version in order to determine which version best fits their analysis and or application needs. Consult the Data Products Distribution table to determine which version of LF data products best fit your analysis and/or application needs. On occasion, users may notice that a line of pixel values in a data layer differs in an unnaturally consistent manner. For example, in an Existing Vegetation Type layer, there may be a line of ponderosa pine pixels adjacent to a line of Douglas fir pixels. This is caused by differences in scene boundaries during the data development process. Scene boundaries are a common problem with any mapping project that spans multiple satellite scenes or that uses multiple image data sets (e.g., spring, summer, and fall). This problem is not unique to LANDFIRE (LF) data. Efforts are made by the LF mapping team to mitigate seamlines and imagery artifacts as much as possible, but the process is limited by the availability of suitable imagery (e.g., dates, cloud free, etc), training plots, gradient predictors, and time. There is currently no simple fix for scene boundary problems. One solution is to obtain a scene boundary file and use the Area Change Tool (ACT), available from The Wildland Fire Management Research Development & Application Program (WFMRD&A). Decide which of the classes on either side of the scene boundary best characterize the area in question, and make edits using ACT. 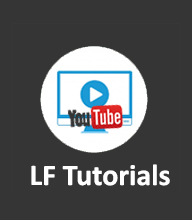 Contact the LF Helpdesk to request a scene boundary file. Another suggestion is to use Spatial Analyst Tools in ArcToolbox in ArcGIS. ArcMap 10 may crash when a record(s) in a LANDFIRE (LF) grid attribute table is selected. When adding certain LANDFIRE (LF) layers to ArcMap, the layer appears as mostly black, although the Symbology display is set to Unique Values. A field other than Value must be selected from the Symbology tab under Layer Properties. Right-click on the layer name in the Table of Contents window and select Properties. Click on the Symbology tab in the Layer Properties window. Under the Value Field, select a field other than Value, for example EVT_NAME, and click Apply. The layer should now display with normal colors. A second option is to choose ColorMap under Show: and then click Apply. The NoData value for all LANDFIRE (LF) products is -9999. ArcMap displays this value as 4294957297. Select the Unique Values option under the Symbology tab in the Layer properties, the NoData pixel value reverts to -9999. Any value over three digits incorporates a comma to delineate place value in the Table of Contents of ArcMap. The comma is merely for display purposes and does not affect the integrity of the pixel size. This is an inherent issue with ArcMap displaying any such number and not specific to LF data. Metadata associated with data downloads does not automatically display in ArcCatalog under the Metadata tab; it must be imported (Note: before metadata is imported, generic metadata will display so it may appear to the user that the metadata is there). To import metadata for a given dataset, make sure the metadata tab is selected in the ArcCatalog window and highlight the grid in the ArcCatalog Catalog Tree. On the Metadata toolbar, click the Import Metadata button. For format, Select FGDC CSDGM (XML) , and using the Browse button, navigate to the folder where the raster data layer is located and double click on the Metadata.xml file. Click OK on the Import Metadata dialog box. Layer metadata should then display properly in ArcCatalog. Pixel counts for non-burnable urban or developed (NB1/91), snow and ice (NB2/92), non-burnable agriculture (NB3/93), open water (NB8/98), and bare ground (NB9/99) are equal in Fire Behavior Fuel Models (FBFM) 13 and 40 except for some map zones in the Southwest (SW) Geographic Area. In these map zones, some Existing Vegetation Types that represent sparse conditions have a non-burnable bare ground (99) in FBFM13 and a burnable GR1 (101) (short, sparse dry climate grass) in FBFM40. This classification is done at the request of data users in those map zones. The logic is during years of greater than normal herbaceous production, the analyst could use FBFM40 to predict fire behavior in the sparse areas. In years of normal or below herbaceous production, FBFM13 could be used to show areas not conducive to fire spread (bare ground with sparse vegetation). The barren pixel count discrepancy is intentional in the SW Geographic Area and is caused by classifying pixels as non-burnable in FBFM13 and burnable in FBFM40. This originated in map zone 12 in LF 2001 and LF 2008. Other map zones in the SW Geographic Area were affected by this in subsequent versions (LF 2010, 2012, 2014, etc.) when sparse and barren areas were calibrated with the vegetation maps. A scan line issue was introduced to LF products with the use of MTBS data. The Landsat 7 Scan Line Corrector (SLC) failure occurred in late 2003. MTBS used Landsat 7 SLC Off imagery to map burn severity for fires that occurred after 2003. LF disturbance mapping for LF 2008 and LF 2010 incorporated MTBS data as provided. Because of this, scan lines exist in LF 2008 and LF 2010 data products in some instances where disturbance occurred. Methods were developed to minimize the effect of scan lines in LF 2012 and subsequent versions caused by the Landsat 7 SLC failure carryover in MTBS products. Be aware that some areas of disturbance in LF data products were impacted by Landsat 7 SLC Off issue in LF 2008 and LF 2010. However, additional processing was applied to minimize the effects of scan lines in LF 2012. For LF 2008 and LF 2010, scan lines are evident in some instances where disturbance occurred. 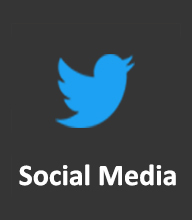 Refer to the FAQ section of this website. Landsat change detection data from 2012 were omitted from the disturbance layers for most of the NW GeoArea. Portions of south central Washington and North Central Oregon are the exception. Disturbances identified by fire program mapping efforts (Monitoring Trends in Burn Severity, Burned Area Reflectance Classification and Rapid Assessment of Vegetation Condition), and those included in the LF Public Events Geodatabase were not omitted. The disturbance product for 2011 was not affected. 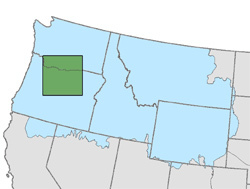 The square perimeter (in green) outlines the portion of the NW GeoArea that is correct and contains all known disturbances. In the original disturbance layer 7,326,354 acres were mapped as disturbed, in the corrected version 7,909,424 acres were mapped as disturbed. The differences between versions affects 0.18% of the NW GeoArea. Table of the number of disturbed acres that were omitted. An update to LF 2012 disturbance, existing vegetation and fuel layers for the NW GeoArea is planned and a data alert will be posted when the data are released. April 8, 2015. We regret any inconvenience this may cause. .LCP files included instances of NoData (value -9999) where data exists. It was determined that NoData values were mistakenly coded in the LCP files where Aspect values were -1. The last release of the topographic suite described non-defined aspect (slope is less than or =2) as -1. Any -1 values in the aspect input data produced -9999 values on the .LCP output, inaccurately indicating NoData. Modifications were made to the lcpmake program to convert -1 values to 0 rather than the NoData value -9999 in the .LCP file. We recommend downloading new .LCP files for future analysis. LANDFIRE (LF) National (LF 1.0.0) After Action Review feedback identified a lack of fuel barriers to fire spread in the data products, resulting in a barren and sparse classes update to fuel data products. Barren and sparse classes were incorporated in LF 2010 vegetation data products. The graphic shows the 2013 Thunder City Fire boundary. Non-burnable barren and sparsely vegetated areas are red. You can see the increase of non-burnable areas from LF 2008 (LF 1.1.0) to LF 2010 (LF 1.2.0). Barren and sparse classes are in sync for fuel and vegetation data products beginning with LF 2010. You can reproduce the same fuel data products as LF using LF Total Fuel Change Tool beginning with LF 2010 vegetation data products. 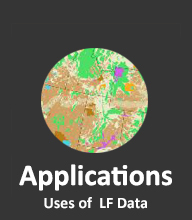 The LF Program maintains user access to three versions of spatial data products through the Data Distribution Site (DDS), and archived versions are available via special request to helpdesk@landfire.gov. Since LF 2010 [LF 1.2.0] is now available for user access and download, the initial LF spatial data set, LF National [LF 1.0.0], will be removed from the DDS on May 31, 2014. LF National spatial data [LF 1.0.0] will be archived and only made available by request. LF 2001(LF 1.0.5) will continue to be available on the DDS with the same suite of data layers as LF 1.0.0 representing a similar timeframe. LF 2001 data enhanced the [LF 1.0.0] layers to allow comparison between these first LF products (LF National/LF 2001) and subsequent updates (LF 2008, LF 2010, etc). Differences between the LF product versions are generally described in the LF Data Products Distribution Table. LF 2001 / 2008 (LF 1.0.5 / 1.1.0) Vegetation Departure has not been calculated in certain areas and may have inconsistencies with Vegetation Condition Class (VCC). VDEP 1.0.5 /1.1.0 has not been calculated in several areas across the nation (e.g., portions of 23 and 41). The value for VDEP that corresponds to "not calculated" is 101. The corresponding value in VCC is 0. Instances that have VDEP as 101 and VCC as any value other than 0 are not valid. 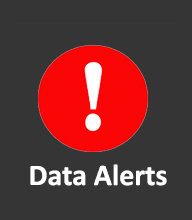 We are aware of this issue and will release a data alert when this is fixed. Previously, LANDFIRE (LF) Fire Regime Condition Class (FRCC) deliverables included both classed and continuous metrics of departure for vegetation and were called FRCC and FRCC Departure Index. These products will now be referred to as Vegetation Condition Class (VCC) and Vegetation Departure (VDEP). According to the FRCC Guidebook, FRCC is a combination of vegetation departure and fire frequency and severity departure. The layers previously referred to as Fire Regime Condition Class (FRCC) and Fire Regime Departure Index (DEP) were measures of vegetation departure, hence the name change. In addition, substantial changes in processing methods were used with LF 1.0.5 and LF 1.1.0 compared to LF 1.0.0 and these changes are described in the table below. It is inappropriate to compare LF 1.0.0 VCC/VDEP to LF 1.0.5 or LF 1.1.0 because the methodology is different, and change analysis exercises may result in invalid outputs. LF 1.0.5 and LF 1.1.0 VCC and VDEP were derived using the same methods and a comparison is logical. However, the time span 2001 - 2008 is short from an ecological perspective. The relatively large landscapes (HUC8, HUC10, and HUC12) used as summary units in LF 1.0.5 and LF 1.1.0 may not reflect small-scale disturbances. Generally, substantial changes in VCC metrics will only occur in areas where large proportions of subwatersheds (HUC12) and watersheds (HUC10) were subject to large-scale disturbances. Hydrologic Unit Codes (HUC 8, 10, 12) — The FRCC Guidebook suggests that Hydrologic Unit Code (HUC) areas may be appropriate summary units for the computation of Fire Regime Condition Class. Another potential summary unit framework is Ecological Subsection (ECOMAP), which were used to compute FRCC in LF 1.0.0. Ecological subsections can be downloaded using the LF Data Access Tool in ArcMap, the LF Data Distribution Site (DDS), or from a U.S. Forest Service website. Much of the field-referenced data used by LF for Alaska vegetation mapping were collected using discrete vegetation map units that describe vegetation composition, cover, and height. This precluded mapping cover and height with the same vegetation structure classes used in the conterminous United States (CONUS), which were based on continuous field referenced data values. It was determined that values in the conterminous United States and those in Alaska may have the same code values but resolve to different existing vegetation cover and height classes. The LF team assessed the difference in existing vegetation cover and height code values between conterminous United States and those in Alaska. To avoid confusion that may be caused by having the same code resolve to different values, the project team decided to have unique code values for the conterminous United States and a second unique set of values for Alaska. Thus codes could not be confused if data users were aware of the change. Codes in the conterminous United States will have values from zero through 149. Code values for Alaska will have values from 150 through 200. Please note: The codes used for Alaska vegetation height and cover are different than those used for CONUS. This can lead to consistency issues if end-users are manipulating and analyzing LF data products with applications that were developed for the lower 48 states. LF applications will be modified to work with these new codes. Care must be taken to ensure that manipulation and analysis has accounted for these new codes. The EVC and EVH classes used by LF for Alaska were assigned new codes in order to differentiate them from those used for CONUS. A side-by-side list of the codes and classes used for CONUS and Alaska are included below (see Table 1 [EVC] and Table 2 [EVH]). These tables can also be used as data crosswalks for users that need to compare Alaska code values with conterminous United States code values. Table 1. LF CONUS and AK Existing Vegetation Cover codes and classes. Table 2. LF CONUS and AK Existing Vegetation Height codes and classes. A primary quality control for LF data products is to ensure that there is no internal NoData. This data standard was held for all zones in the lower 48. However, due to lack of satellite imagery in some instances and elevation data in others, there is internal NoData in data products within some zones in Alaska. The regions of NoData are relatively small and generally fall along the border of Canada as well as some far eastern-reaching islands. The instances of NoData are not always coincident between data products. For example, elevation data and the elevation-derived slope and aspect are missing for the northern and southern portions of Prince Edward Island, while satellite imagery is available for these areas. Along the Canadian border, subtle inconsistencies between the available satellite imagery and elevation data result in possible NoData conflicts, not only between the imagery and terrain data but also with modeled data products, such as existing vegetation and fuel layers. Be aware that there is internal NoData in the Alaska LF layers. The designated NoData value for LF is -9999. FARSITE and FLAMMAP treat the -9999 value as NoData. However, understand that any GIS analysis will treat -9999 as a real value, and it remains the user's responsibility to recode the -9999 to null if necessary. Reproject LF data to your local projection: LF data are delivered in the USGS version of the USA Contiguous Albers Equal Area Conic projection as the default map projection. LF data are delivered in the USGS version of the USA Contiguous NAD83 Albers Equal Area Conic as the default map projection. 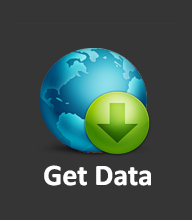 LF data can also be delivered in UTM NAD83 by modifying the order option on the "modify data request" form. When LF data are delivered in the USGS version of the USA Contiguous Albers Equal Area Conic projection, they must be projected prior to running fire simulations in FARSITE and FlamMap. If LF data are not reprojected, inaccurate fire behavior outputs could result from these models. LF data layers (grids) and the landscape (LCP) file products are in the USGS Albers projection as the default projection. This projection is appropriate if you plan to use it at the national scale. However, if you plan to use LF data at a local scale as inputs for programs such as FlamMap and FARSITE, it is very important to reproject the LF data. FlamMap and FARSITE programs both require data in rectangular projections with true north-up alignment. The north-up orientation is expected by these programs in order to accurately factor wind direction for fire behavior simulations. Local projections with rectangular forms, such as UTM, minimize distortion at large scales (small areas). Using a local projection (with a geographically near point of origin) will maximize true north in your locale. Data that remain in the USGS Albers projection will distort north the farther you go from the central meridian. Again, failing to reproject LF data prior to running fire simulations in FARSITE and FlamMap could result in inaccurate fire behavior outputs from these models. UTM and State Plane projections are common projections for local analysis. When LF data delivered in the USGS version of the USA Contiguous Albers Equal Area Conic projection are viewed in ArcMap, they remain in the USGS Albers projection, regardless of the map projection in the current ArcMap project. While it may appear that LF layers have been reprojected to UTM and line up with your local data in ArcMap, they do not in actuality. ArcMap has merely projected the data "on the fly" for display purposes only and does not alter the layer's original projection. You must reproject your data into a local projection. In ArcMap, this can be done by going to ArcToolbox > Data Management Tools > Projections and Transformations > Raster > Project Raster. In addition, data can be reprojected from Environment Settings in any ArcToolbox analysis. LCP products used in FARSITE and FlamMap, delivered in the USGS version of the USA Contiguous Albers Equal Area Conic projection, also remain in the USGS Albers Projection. 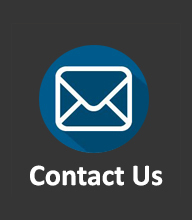 The best approach for using LF LCP product is to download LF data in UTM projection by using the "modify data request" form to choose the best fit UTM Zone and appropriate datum. Analysis performed using data with different projections could produce unexpected results with programs such as FlamMap or FARSITE. Therefore, it is good practice to understand the map projection characteristics of the data and, when necessary, reproject data to best fit local needs. Aspect has triangular shaped artifacts in flat areas and along the U.S. border where there are bodies of water: Triangulation appears around the U.S. border in lake and ocean regions. Even though there is some triangulation, wherever slope is 0, the aspect layer does not affect modeling in FARSITE, FlamMap, or FSPro. Aspect is a derivative of the Elevation Derivatives for National Applications (EDNA) digital elevation model (DEM). Wherever there were no data in the DEM, aspect was filled using neighboring values, resulting in large triangular shapes in lakes and ocean regions. In addition, other flat area anomalies appear along older quad boundaries found in the original DEM layer. Again, these flat area artifacts are primarily in areas where slope is 0. Even though triangulation exists in the aspect layer in lake and ocean regions, wherever slope is 0, the aspect layer does not affect modeling in FARSITE, FlamMap, or FSPro. Some external review suggests LF forest canopy cover (CC) estimates are too high. This is difficult to verify given the lack of reliable field-based canopy cover observations in forest systems, but the effect on potential fire behavior can be substantial. NOTE: Regardless of the technique used, be sure to not alter the values of 0 percent canopy cover. If this value is altered, unintended fire behavior may result when using the LF fuel data suite. Conditions vary and data should be evaluated prior to use for fire behavior analyses in new situations. LANDFIRE (LF) c2001 (National LF 1.0.0) Canopy Base Height Too High for Simulating Crown Fire: Internal and external review has suggested that LF canopy base height estimates are too high for proper simulation of crown fire activity. Internal and external review of the canopy base height layer has suggested that, in many areas, LF canopy base height estimates are too high and as a result, fire does not transition from surface to crown in the models as analysts expect. In the LF canopy fuel mapping process, canopy base height is computed by first analyzing tree list data provided mainly by the Forest Inventory Analysis (FIA) program. Depending on the state and vintage in which the data were collected, compacted and un-compacted estimates of height to live crown can be present in the same mapping zone. Compacted height to live crown estimates can lead to overestimates of canopy base height. where CBHred is the reduced canopy base height value and CBHorig is the original canopy base height value. Some external review suggests LF canopy bulk density estimates are too low for simulating active crown fire. This is difficult to verify given the lack of field-based CBD observations. The matter is further complicated by the myriad of fire behavior processors for which LF data are available. Variances in simulated crown fire activity can be observed between the different processors. Both FlamMap 3.0 (Finney 2006) and FARSITE 4.1.052 (Finney 1998) have an embedded switch that enables the user to determine which method of crown fire calculation to use for a potential fire behavior run. Based on many fire behavior simulations using both modes of crown fire calculation, we recommend use of the Scott and Reinhardt "button." This does not mean that the Scott and Reinhardt 2001 switch is "better" or more useful. Rather, it means that use of this button with LF data produces more crown fire activity without modifying the CBD layer provided by LF. User Feedback on vegetation models in mapping zone 25: a user provided the following feedback for vegetation models 11550, 11551, 10750 and 15040 in mapping zone 25. After further model review of BpS 11550, North American Warm Desert Riparian Systems, in mapping zone 25, it was noticed that the middle and lower Rio Grande River riparian and bottomland areas are mapped as BpS 11550, which is modeled as sacaton grassland (either Sporobolus airoides saline/alkaline soils or S. wrightii fine textured soils). Further review suggests that it should be mapped as a mixture of BpS 11550 and BpS 11551, the latter of which includes cottonwood-dominated forests. Areas with coarse alluvium substrates, such as sandy to gravelly, would likely succeed to tree-dominated vegetation, while areas with fine textured and/or saline/alkaline substrates would likely be maintained as grassland or possibly a shrubland such as saltbush scrub. For wooded areas along the middle and upper Rio Grande River, Rio Grande cottonwood (Populus deltiodes var. wislizenii) rather than Fremont cottonwood (Populus fremontii) would dominate or codominate the tree canopy with or without Gooding willow (Salix goodingii). Model 11551 is currently restricted to SE Arizona, which is dominated by Fremont cottonwood (Populus fremontii) rather than Rio Grande cottonwood (Populus deltiodes var. wislizenii) in New Mexico. This model would also need to be broadened geographically to include New Mexico portions of mapping zone 25 and floristically to include Rio Grande cottonwood as a dominant tree species. The 10750 Chihuahuan Mixed Salt Desert Scrub, which occurs in the lower portions of Rio Grande River in mapping zone 25, overlaps conceptually with 11550 and 11551 the North American Warm Desert Riparian Systems. After further model review of BpS model 10750 Chihuahuan Mixed Salt Desert Scrub in mapping zone 25, it was found that it is very similar to the 11550 and 11551 North American Warm Desert Riparian Systems models, especially where substrates are more saline or alkaline. This model is likely an uncharacteristic form of typical four-wing saltbush (Atriplex canescens) desert shrublands, as Atriplex canescens is not listed as a component of species in any stage. More model review is needed to clarify this BpS model. The BpS model 15040 Chihuahuan-Sonoran Desert Bottomland and Swale Grassland is similar floristically to riparian models and may be mis-mapped in near riparian zones. After further model review, it was noticed that the BpS model 15040 Chihuahuan-Sonoran Desert Bottomland and Swale Grassland is very similar to Class A in 11550 North American Warm Desert Riparian Systems where 15040 are mapped along rivers and floodplains (riparian areas). 15040 should be restricted to internally drained basins and areas adjacent to intermittently flooded drainage areas. Stands of 15040 mapped near semi-permanently flooded riparian zones should be reviewed to ensure that they are not actually a riparian system. Incorrect Relative Age Setting in VDDT: The vegetation models for some eastern zones had an incorrect setting for relative age in the VDDT database. Relative age was not set correctly in the following eastern zones when they were first made available for download from www.landfire.gov: 25, 26, 27, 29, 30, 33, 34, 37, 44, 45, 55, 56, 58, and 98. Relative age, according to LANDFIRE (LF) modeling rules, should be set to the inverse of the end age of the class (for example, if the class end age is 10 and relative age is used, it should be set to -10). In the aforementioned zones, relative age was set to the class end age rather than the inverse of the class end age. In some cases, an incorrect relative age setting could change the model results. The LF team has corrected the relative age issue and redelivered corrected files. For zone 25 a new version of the model description document was released to correct inaccurate descriptive information related to this issue. For all other zones, only the VDDT database was changed. The error in the relative age setting did not affect any of the mapped products. Customers are advised to delete any local version 1 databases (that is, those that have "v1" in the file name) they may have downloaded and replace them with the version 2 databases (those that have "v2" in the file name) currently available from the LF website. Error in VDDT model for biophysical setting 1080 in mapping zone 33: The "time since disturbance" function in the VDDT model for BpS 1080 was not attributed appropriately. As a result of final quality control procedures for LANDFIRE (LF) National, it was noticed that the "time since disturbance" function in the VDDT model for BpS 1080 was not attributed appropriately. According to LF rules, time since disturbance should be set to less than or equal to one less than the class duration. This ensures that the time since disturbance function occurs before a deterministic transition shifts pixels to another class. In the case of BpS 1080 in mapping zone 33, time since disturbance in Class C was set to 49, although, according to LF rules, it should have been set less than or equal to 33 because the duration of Class C was 34 years. When time since disturbance is set to 49 in Class C as originally modeled, the percent of the landscape in classes A-D are 15, 30, 25 and 30, respectively. When time since disturbance is set to 33 in Class C, as it should have been attributed according to LF rules, the percent of the landscape in classes A-D changes to 15, 45, 20 and 25, respectively. Based on the assumption that the modelers achieved the results they wanted with the time since disturbance function set to 49 in Class C, it was decided to leave it as is. For future use, this model should be reassessed. Individuals intending to use this model locally may need to re-parameterize the model. Mixed-Severity Fire Definition Inconsistency: Some western vegetation models were developed using inconsistent definitions of mixed-severity fire. Fire severity types should be defined and used consistently by all modelers. Early in the project, it was learned that, after the models for some western mapping zones were delivered and used in the LANDFIRE (LF) production process, some regional modeling leads and modelers had interpreted the definition of "mixed-severity fire" differently, which may have impacted the way the models were constructed and ultimately the model outputs. For LF, mixed-severity fire is defined as an area of relatively uniform 25-75 percent top-kill. Some regional modeling leads and modelers interpreted mixed-severity fire as an area containing patchy combinations of unburned areas and totally burned areas, in effect averaging to a mixed-severity condition. This latter interpretation is consistent with the definition of mosaic fire defined in version 1.2 of the FRCC Guidebook as "any landscape-scale mixed fire that has scattered patches across the fire perimeter, resulting in a mosaic of burned and unburned patches" (Hann and others 2004). FRCC Guidebook specifically addresses this issue by clarifying that mixed-severity fire refers only to post-fire effects on vegetation, not to the spatial pattern. As soon as the discrepancy in the mixed-severity fire definitions was identified by the LF team and recognized as inconsistent with the LF production process, every effort was made to ensure that vegetation models were built using the LF definition. However, users should be aware of the potential inconsistency in the application of the mixed-severity fire definition in LF models from mapping zones 8, 9, 10, 12, 13, 14, 15, 16, 17, 18, 19, 23, 24 and 28. Furthermore, if models from these zones were adopted for use in other zones (as noted in the Comments field in the model description), the potential misapplication of mixed-severity fire may still exist. It appears that the misapplication of mixed-severity fire occurred most often in grass systems and secondarily in shrub systems. In many cases it appears that modelers inappropriately applied mixed-severity in cases where they would have chosen replacement fire under the appropriate LF definitions. The implication of using mixed-fire inappropriately in cases where replacement fire should have been used is that it would tend to push models towards the low- and mixed-severity fire regime groups (I and III) rather than the high-severity fire regime groups (II and IV). These changes in the modeled fire regime group could then be carried over to the fire regime group map, which is created using the probability and severity of disturbances from the VDDT model. Hann, W.; Shlisky, A.; Havlina, D.; Schon, K.; Barrett, S.; DeMeo, T.; Pohl, K.; Menakis, J.; Hamilton, D.; Jones, J.; Levesque, M.; Frame, C. 2004. Interagency Fire Regime Condition Class Guidebook. Last update October 2007: Version 1.3. [Homepage of the Interagency and The Nature Conservancy fire regime condition class website, USDA Forest Service, U.S. Department of the Interior, The Nature Conservancy, and Systems for Environmental Management]. [Online]. Available: frcc/frcchome. Quantitative Model Information in the ModelTracker Database: MTDB entries sometimes contain out-of-date VDDT model parameters. ModelTracker Database (MTDB) reports often contain quantitative information about succession pathways and disturbance probabilities. This information in the MTDB model reports may be out-of-date due to the repeated iterations of review and revision. Every effort was made to correct the information through the review process, but it is possible that some MTDB entries were not updated. For example, an MTDB description might indicate that class A age limits are 0-1 years with a replacement fire at a 5-year return interval. However, the VDDT model, after review, indicates that class A age limits are from 0-2 years with a replacement fire return interval of 4 years. Errors of this type are most likely to occur in the “Vegetation Classes” section of the model description. Users should always open the model in VDDT to ensure that they have the correct information. Information in the VDDT model is considered to be correct when there is a discrepancy. Error in VDDT model for biophysical setting 1165 in mapping zones 18 and 21: The "time since disturbance" function was not utilized correctly during the model development process. As a result of final quality control procedures for LANDFIRE (LF) National, it was noticed that the "time since disturbance" function in the VDDT model for BpS 1165 in zones 18 and 21 was not attributed correctly. Because two probabilistic transitions (alternate succession in classes A and C) in the model are contingent on time since disturbance, the "use time since disturbance" function should have been set on the RUN SETTINGS - OPTIONS tab in VDDT for the model to run correctly. When "use time since disturbance" is not selected, the percent of the landscape in classes A-D are 1, 84, 3 and 12, respectively, as shown in the description document. When "use time since disturbance" is selected the percent of the landscape in classes A-D changes to 10, 2, 5 and 83, respectively. Based on the assumption that the modelers achieved the results they wanted without the "use time since disturbance" function selected, it was decided to leave this function off. However, it should be noted that the model will produce very different results when the function is turned on. For future use, this model should be reassessed. Users intending to use this model locally may need to re-parameterize the model.